It's been a hectic week as we prepare EventsFrame for launch and this week we're pushing out new features for attendees to pay via PayPal and via invoice which our are looking fantastic. It's also been a hectic week personally as I have been moving house...and this Friday a group of entrepreneur friends are heading out of town for a quarterly weekend of strategising and planning. And this time we are off to Plzen (called Pilsen in German) which is, you guessed it, the birthplace of Pilsner beer. So for this weeks blog post I thought it would be good to give a quick introduction to our four co-founders and say a few words about how EventsFrame came about. I'm working on a longer post about the 'origin story' of EventsFrame, but the short version is that co-founders James, Dean and myself work together at AppsEvents. We're all Google and EduTech obsessives and run 'Google for Education' Summits and bootcamps quite literally across the world, with over 300 in 2017. We came up with the idea for EventsFrame during our seemingly endless search for an amazing events 'registration and management' system. 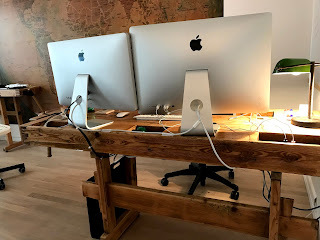 in the beginning, like everybody, we used Eventbrite, but quickly found their pricing prohibitive and lacked a management console for companies like us running multiple events.... so we went on the quest for an alternative. We started evaluating systems, and found that most systems didn’t publish prices but instead forced you into a lengthy negotiation. Some companies were cool but some were downright sleazy. One US based company (known I’m sure to anyone reading this who is in the EventsTech space) would only allow a minimum of a 1 YEAR contract, and when we read the fine print they had tripled the price which auto renewed for year 2! Dean, James and myself are all techies and we had many discussions about building our own system and in mid 2017 we finally teamed up with Simon and got to work on building the best attendee registration system out there. Dan Taylor is an EdTech entrepreneur who has co-founded three successful startups. 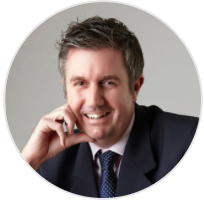 After starting his career in Management Consulting he founded Dunross Consulting, an IT Consulting agency which was sold in a management buyout in 2011. 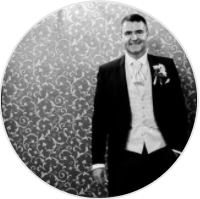 Following on from the sale he founded AppsEvents, and organises Google Education summits and training events worldwide in partnership with Google, and finally EventsFrame, a SAAS for event organisers. Outside of tech he loves exploring, surfing, snowboarding and anything to do with the mountains. 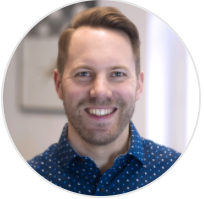 Simon is the technical co-founder of LeadPages and ConvertPlayer. He is a serial entrepreneur, and the technical mastermind of EventsFrame. In less than four years, Simon Payne’s company LeadPages grew from just two other founders and himself; to 160 employees worldwide, with over $38M in venture capital raised and over 50k active customers, while being profitable from the very beginning. James runs Asia and the Middle East for AppsEvents and is also the Head of Maths and Technology at an International School in Bangkok. He has presented and keynoted in conferences across Asia, including Thailand's Ministry of ICT "Digital Safety", UNESCO and the International E-Learning Conference. In addition to speaking James has created content for a variety of platforms. Prior to this James was a securities trader and managed IT change management for a leading securities firm in the UK. Now based in Thailand James splits his time mountain biking in Chiang Mai and surfing Phuket with his two amazing kids. Dean was a teacher for 8 years before joining AppsEvents as UK Director. He has delivered keynote presentations and training sessions to teachers, business leaders, education ministers and even a Lord! 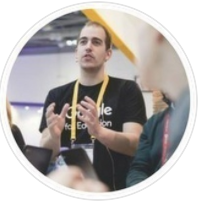 Dean has organised events, developed curriculum and delivered training directly for Google. Outside of his day job, Dean also supports charities by MC'ing live events like Cancer Research UK's Race for Life series. A keen traveller, Dean took a 5500 mile, six week road trip across the USA between jobs in 2016 and enjoys the life of a digital nomad - working from wherever life takes him.